The seniormost Justice of the U.S. Supreme Court, John Paul Stevens (right), today celebrates his 90th birthday. That milestone -- coupled with his recent announcement that he will step down at the end of this, his 35th Term on the Court -- prompted an outpouring of stories. Having myself had the privilege of clerking for the Justice during OT '88, I offer a Stevens Birthday Reader to supplement IntLawGrrls' prior posts about the Justice. 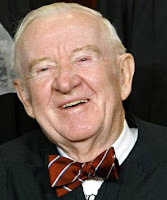 ► Blogreaders will recall that last year the University of California, Davis, Law Review sponsored a daylong conference entitled "The Honorable John Paul Stevens." The symposium edition, featuring articles on Stevens' jurisprudence respecting liberty, equality, and security, has just been published; a pdf version of each article can be accessed by clicking on its title in the table of contents available here. My own contribution, John Paul Stevens and Equally Impartial Government, is my most recent work examining jurisprudence in light of life experiences; an earlier effort, John Paul Stevens, Human Rights Judge, which analyzes his treatment of foreign and international law and context, was part of another symposium edition, published as 74 Fordham Law Review 1557-2369 (2006). ► "Speaking of Stevens: A Forum on the Justice, His Legacy, and the Future of the Court," is an ongoing blog at The National Law Journal's website, and a Los Angeles Times op-ed take on that same subject, published today by former clerk and Princeton Provost Christopher L. Eisgruber, who calls Stevens "America's last pre-Roe Justice," is here. ► Finally, SCOTUSblog has just launched "Thirty Days of John Paul Stevens," featuring contributions from former clerks and other legal experts. 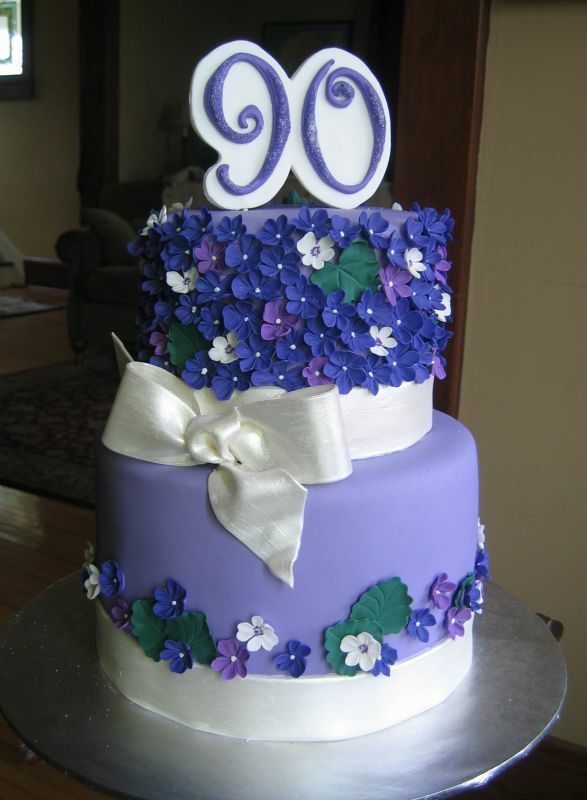 My birthday post, entitled "John Paul Stevens and the American Century," appears today; others set to post in the series include Stanford Law's Pamela S. Karlan, as well as former Stevens clerks, like Susan Estrich (USC), Teresa Wynn Roseborough (MetLife (prior post); Teresa's contribution to our symposium edition, on Bush v. Gore (2000), is here), Pamela Harris (Georgetown), Deborah Pearlstein (Princeton (prior posts); her contribution to our symposium edition, on Guantánamo-related cases, is here), and Sonja West (Georgia). And if that's not enough reading, there are any number of Stevens opinions from which to choose.